ElectricalTT Why Light Bulbs (lamps) Blow Frequently? As your local Electrician I want to point out a couple of reasons why your light Blubs Blow. This problem does not mean you have a major wiring fault. This is an issue which has been looked into for many years. If you have wiring fault in your circuit it will be picked up by fuses and MCB’s long before it gets to the bulb. Once Power is getting to the light fitting at the correct voltage the bulb (lamps) will light. There are a few reasons why bulbs will blow, the major one is fitting cheap bulbs in particular the once purchased from Supermarkets or Large DIY Chains. The elements in these cheap bulbs are much thinner than the more expensive brand name bulbs (lamps) and any surge of power, however slight, simply breaks them, vibration caused by closely located machinery (Fans,Pumps ect) can have the same effect. A loose connection in the fittings lamp holder can also cause bulbs to blow. This is because the circuit is not completed as tightly as it could be and the electricity may have to “arc” or jump across the contact, rather than simply flowing through it. 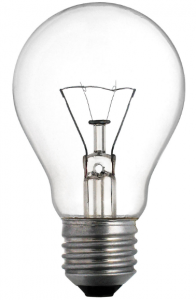 When this happens it produces more heat in the fitting than is expected or catered for by the bulb, and the bulb can weaken due to the heat and blow. The same can happen if the spring loaded connection in the bulb holder is slightly loose. This will cause electricity to arc across the contact, cause too much heat and blow the bulb. This can very often be easily diagnosed by looking at the contact on the bottom of the bulb to see if it is pitted. Arcing electricity effectively melts the metal it is arcing onto (the same way arc welding works) so if the bulb contact is being subjected to arcing, tiny little indentations occur, called pitting. It is sometimes possible, if the live connection in your light switch is a little loose, for this to happen at the switch also. Heat will be generated and it is possible, though extremely remote, for the bulb to blow as a result of this. 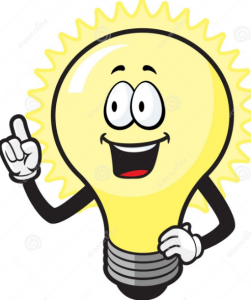 When a bulb blows, 99% of the time the fuse for the lighting circuit will blow or trip also. This makes the problem seem a lot worse than it actually is. The reason for a blowing lamp tripping an MCB is that the lamp element gets thinner during its life to the point where it breaks at the thinnest point, this point will melt just before failure. The resistance of the overheating element will momentarily be very low and a current surge is caused, this is picked up by MCB’s but generally not fuses. Your bulb supplier – Buy Expensive it’s cheaper in the long run. Also check the tightness of the connections in your switch.